Located in the heart of downtown Boston, soaring over 35 stories, The Ritz-Carlton Towers overlook the Park/Back Bay on one side and the harbor on the other. 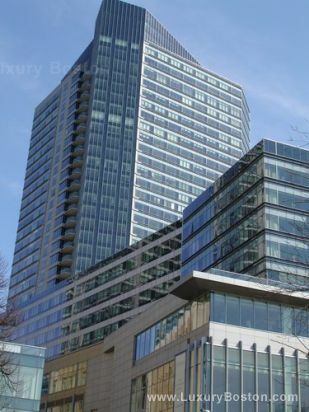 Units feature Brazilian Cherry hardwood flooring, beautiful high end kitchens(Viking Gas stove-tops and ovens), valet parking and floor to ceiling windows with unparalleled views. Take the elevator to the premier gym in the city, L. A. Sports Club, which houses a wonderful cafe and martini bar. The Towers are also located just a few blocks from Boston's finest theater (Opera House) as well as fine restaurants such as Teatro, SIP, Legal Seafood, and Radius just to name a few. The luxury residences share five star services with The Ritz-Carlton Hotel (Room service, cleaning and valet). Residents in the building also receive discounted rooms at Ritz-Carlton hotels around the world. Call the concierge from your in unit house phone and they will arrange everything from your travel arrangements to restaurant reservations around the city.